Getting children off the sofa, away from the TV and outside can be a challenging task for any parent, particularly in the age of increasingly sedentary and screen-focused lives. To stay healthy, it is currently recommended that children do at least 60 minutes of moderate to vigorous physical activity daily. But this has been in decline in recent years. And now only 21% of boys and 16% of girls in England are meeting current recommendations. This lack of activity has major implications for the health of children, including an increased risk of obesity and diabetes. Research has also shown that this can impact children’s mental health and well-being, along with their academic performance. Children’s physical activity levels are of course influenced by a whole array of factors, including friends and family, schools and teachers, and the area they live in. 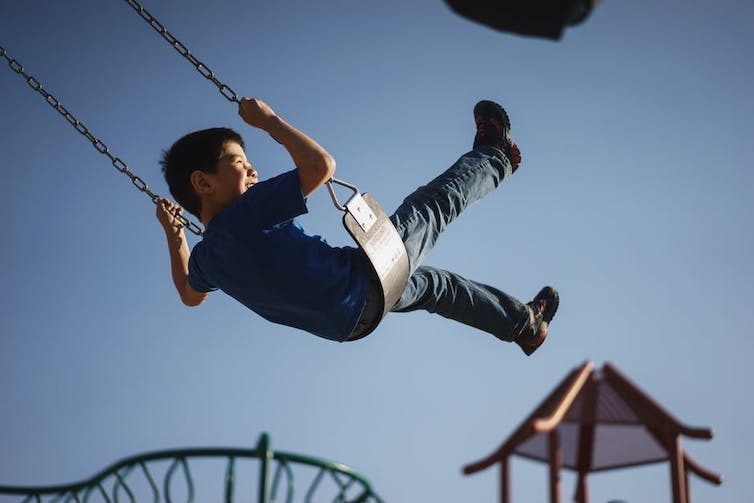 To help better understand the factors that can help or hinder the physical activity levels of children today, my colleagues and I recently conducted a study to explore the barriers UK children face when it comes to being physically active. As part of the research, we spoke to 133 children between the ages of seven and 11 in various schools in England and Wales. And discovered two main barriers for children when it comes to exercise: screen time and hectic family lifestyles. Two things that I’m sure many parents can relate to. With this in mind, I’ve outlined below some ways you can overcome these obstacles and help get your children more active in the process. Many of the children in the study reported having access to a wide range of screen options such as computers, tablets and mobile phones. And many of them talked about the addictive nature of being on screens – saying that they can often while away hours at a time. Normally, at weekends, I just wake up, watch TV. Then at nine in the morning I start playing video games, and when I have to come off, I just watch TV. Then, a little while later I ask and they say “yes”, and so I go back on the video games. And then when I have to come off I normally watch a movie off Netflix, off my tablet. And then straight after that I play video games. And that’s what I do. And sometimes I go to the park. Screen time is a significant barrier for children being active, and can be addictive – but it doesn’t all have to be bad news. Setting screen time limits can help regulate children’s usage. You can also encourage children to use their screens, apps and gadgets in a positive way, to help to get them moving. 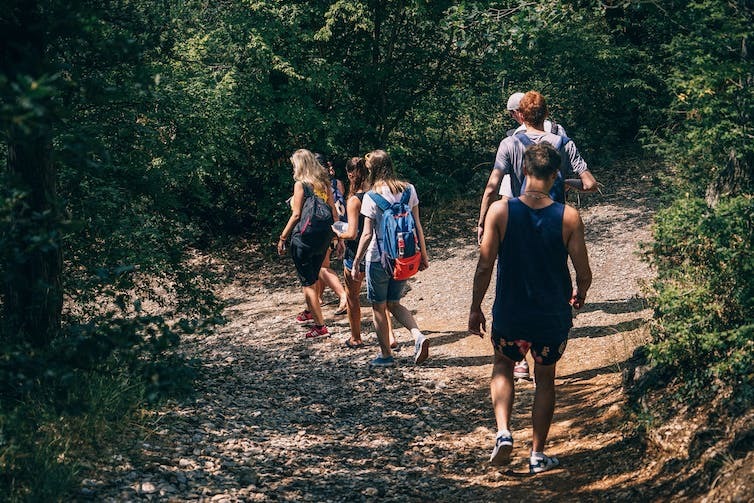 This can include the use of pedometers or activity trackers, which can help to monitor and increase activity levels and track progress along the way. Support and encouragement from family members is a really important factor in increasing children’s activity levels. Our research showed that this isn’t just about being able to buy expensive equipment or driving children to after-school activities and sports clubs – it’s about setting a good example of how to live an active life. This includes reinforcing the benefits of being active, and getting children into active habits from a young age. Family walks can be a great weekend activity. Getting outdoors and in nature can be a great way to get children to see the benefits of being fit and healthy. This can include visits to green spaces, parks, playgrounds, walks and cycle tracks as part of your everyday family life. Don’t let bad weather stop you either – take a raincoat and wellies and show the kids come rain or shine the outdoors is always an option. I want to be more active because me and my mum used to go for three-mile runs, but for some reason she keeps forgetting, and I keep trying to remind her but she’s always busy. A few small changes to daily routines and a bit of forward planning can make all the difference. Things like stopping off at the park on the way home from school for 15 minutes – or children walking or cycling whenever possible. 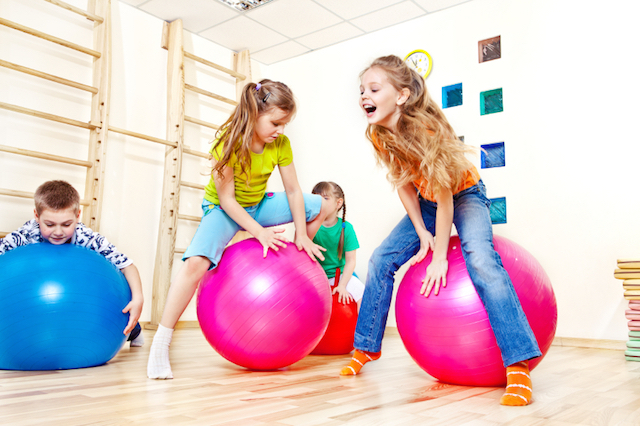 Families can also find ways to be active indoors, including dancing and active video games. These might sound like small changes, but taken together they can have a big impact on children’s health and well-being.